Blood sugar abnormalities affect millions of Americans, and many live without diagnosis. Getting a blood glucose levels test at FastMed is a wise healthcare decision. Diabetes is a serious illness – and oftentimes a lethal illness – so we strongly encourage proper testing to determine if you’re diabetic. FastMed Urgent Care helps clients manage chronic conditions like diabetes and its complications, such as high blood pressure. To find an office near you, type in your zip code and come speak with our professional staff today. We have a lab at every FastMed location, so the results from your blood glucose levels test will be quick and accurate. What are the Types of Blood Glucose Levels Tests? Your FastMed medical clinic will you choose the appropriate blood glucose test. Results from any blood glucose levels test will be evaluated against any blood sugar monitoring you’ve done at home. If the results yield blood sugar levels that are higher than normal, it may be an indicator of prediabetes. Glycated hemoglobin (A1C) test: This blood glucose levels test shows your average blood sugar levels from a span of 2 to 3 months. Hemoglobins are red blood cells that carry oxygen. When there is too much sugar in your blood, the excess glucose attaches to your hemoglobin. The higher your blood sugar levels, the more hemoglobin you’ll have with sugar attached. Fasting blood sugar test: Blood sugar values are measured in milligrams per deciliter (mg/dL) or millimoles per liter (mmol/L). 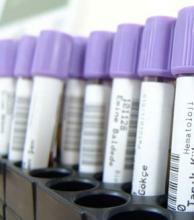 A blood sample will be taken after an overnight fast. A fasting blood sugar level less than 100 mg/dL is considered normal. Oral glucose tolerance test. For this test, you fast overnight and let FastMed measure your blood sugar level. you come to FastMed. We then provide you a drink that is high in sugar and periodically test your blood glucose level for 2 to 3 hours. A reading greater than 200 mg/dL after two hours may indicate diabetes. Random blood sugar test. A random blood sugar test does not involve fasting. Regardless of when you last ate, a random blood sugar level of 200 mg/dL or higher is suggestive of diabetes.